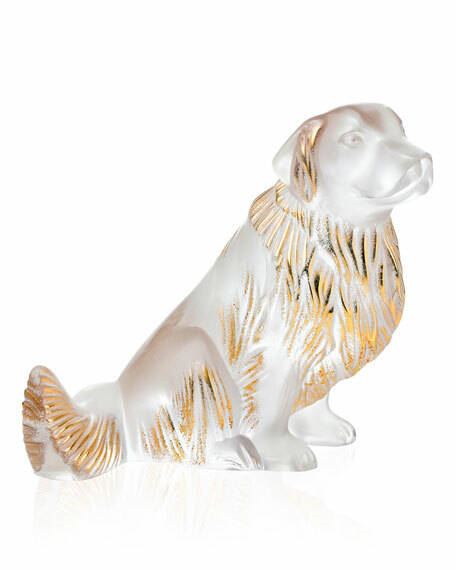 Lalique celebrates 2018, Year of the Dog, with gold stamping to bring out the fine coat of the lovable Golden Retriever figure. Realistically sculpted in satin-finish lead crystal with golden-luster highlights. Approximately 4.8"W x 4.3"D x 4.6"T.